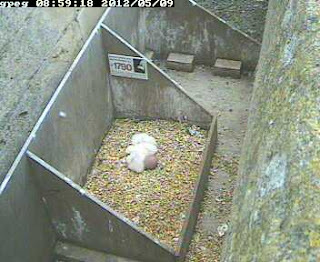 Grantham Peregrine Project: Growing fast ! The oldest chick is three weeks old tomorrow. 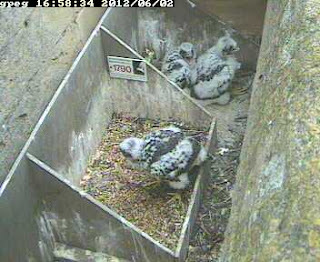 They are hardly recognisable compared to those tiny balls of fluff in early May.